The Truth Life & Word Community Center’s Back-to-School Explosion will be held this year on the 6th of August starting at 11am. 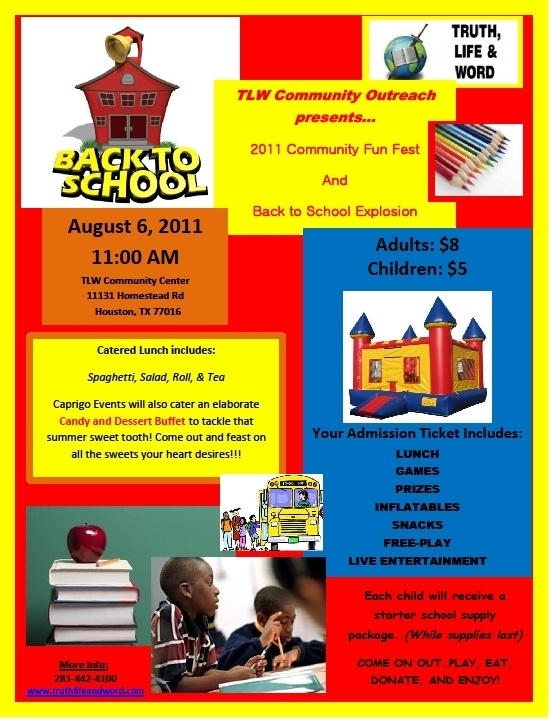 H-Town will be appearing and supporting the Back to school Explosion. Come out and help increase the awareness of how vital education is to this community; while helping to raise funds to continue their efforts. The North Forest School District recently suffered a major loss of school funding and will now be shut down. The children of this community will not only be subject to overcrowding in many HISD schools, but after-school programs may not be available for the coming school year.